Promotional Period: The promotion will run between 11th April – 15th April 2019. One winner from Instagram will be announced on 15/4/19 on the relevant platform so the competition closes midday on 15/4/19. 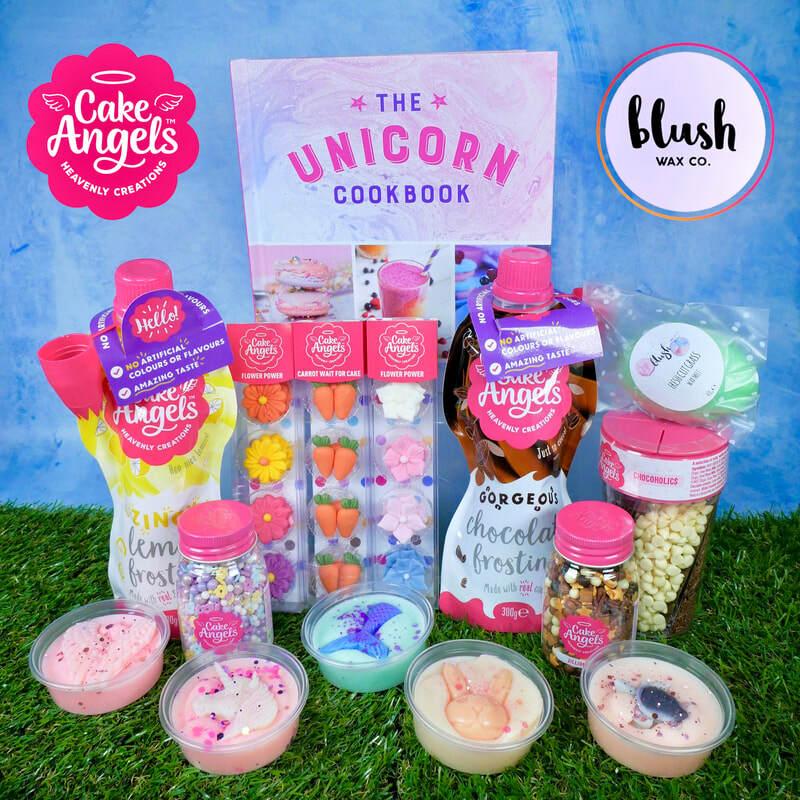 Instagram entrants must follow us @CakeAngelsUK & @blushwaxco, like the giveaway post on the Cake Angels page and tag one or more friend(s) on the post in the comments section. Cake Angels will post and tag the winners name on their Instagram story on the 15th April 2019. Cake Angels will then contact the winner and ask for contact details in order to send the prize. The prize will be posted as soon as possible. The prize draw winner will be contacted on Instagram on 15/4/19. To claim their prize, the winner is required to respond to the winner notification. The winner should respond by acknowledging its receipt and providing their name, contact number and postal address. The promoter will then post the prize to the winner. 6. unless you opt out on or after entering the Promotion, for email communications from us about special offers, competitions and news about Fiddes Payne brands and similar products of the Promoter. 8. Fiddes Payne, may also use your personal data for future email communications. 9. The winners agree to allow the Promoter and to use their name and likeness for advertising and publicity purposes without additional remuneration. 10. You will find the winners on our social media pages indefinitely. 11. The Promoter does not accept responsibility for network, computer, hardware or software failures of any kind, which may restrict or delay the sending or receipt of your entry. Incomplete entries will be disqualified and will not be counted. 12. This promotion and these terms are governed by English law and subject to the exclusive jurisdiction of the English and Welsh Courts. 13. This promotion is in no way sponsored, endorsed or administered by, or associated with Instagram. Entrants understand that they are providing their information to the owner of the Instagram page and Cake Angels website and not to Instagram. Promotional Period: The promotion will run between 10th March – 25th March 2019. One winner from Instagram will be announced on 25/3/19 on the relevant platform so the competition closes midday on 25/3/19. 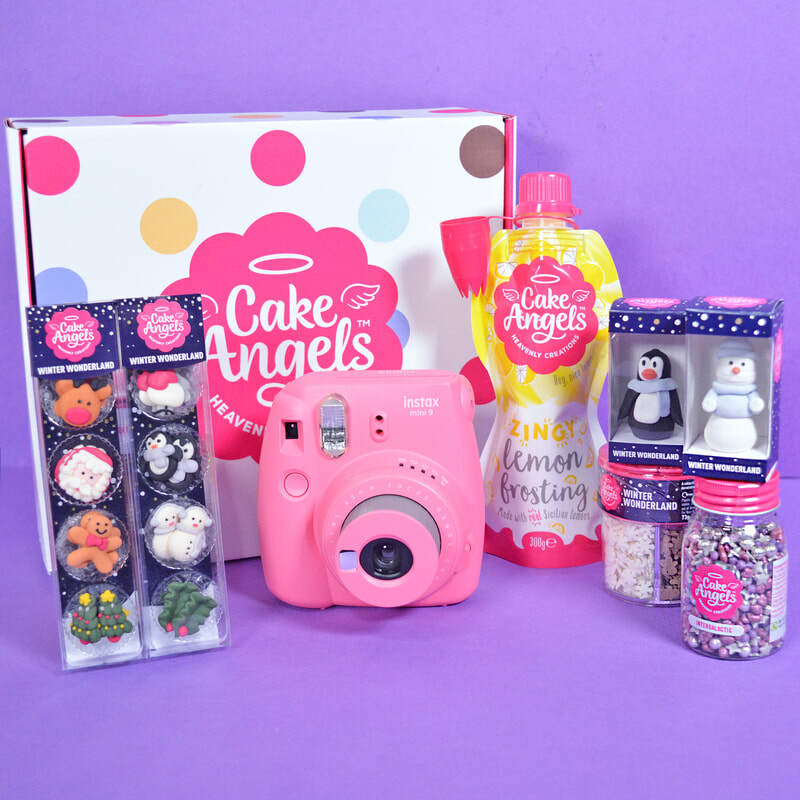 Instagram entrants must follow us @CakeAngelsUK & @unicornshimmerco, like the giveaway post on the Cake Angels page and tag one or more friend(s) on the post in the comments section. Cake Angels will post and tag the winners name on their Instagram story on the 25th March 2019. Cake Angels will then contact the winner and ask for contact details in order to send the prize. The prize will be posted as soon as possible. The prize draw winner will be contacted on Instagram on 25/3/19. To claim their prize, the winner is required to respond to the winner notification. The winner should respond by acknowledging its receipt and providing their name, contact number and postal address. The promoter will then post the prize to the winner. A selection of wraps, homemade plain or fruit scone with clotted cream and strawberry jam, a selection of Malmaison sweet treats and a choice of speciality teas, and a delicious glass of Maison Champagne. This voucher must be presented on arrival at the hotel. Voucher is for the experience noted, please ensure you bring this voucher to redeem the gift. No change will be given if the full gift is not used. Please ensure you book your experience in advance by contacting your chosen hotel. The voucher experience once booked is non-refundable and non-transferable. The experience is subject to availability and valid for 12 months from date of purchase. Promotional Period: The promotion will run on 21st January, between midday and midnight. The first 20 accounts to tag @CakeAngelsUK in their Instagram stories and follow our account will win. These winners will be announced on 22/1/19 on the relevant platform so the competitions close midnight on 21/1/19. Instagram entrants must follow us @CakeAngelsUK and tag us in their Instagram story. One tagged story per person. Cake Angels will post and tag the winners names on the same Instagram story on the 22nd January 2019. Cake Angels will then contact the winners and ask for contact details in order to send the prizes. The prizes will be posted as soon as possible. Closes 21st January midnight, announced midday 22nd January. UK residents only. ​ These will be delivered to the winners as soon as possible. The prize draw winner will be contacted on Instagram on 22/1/19. To claim their prize, the winner is required to respond to the winner notification. The winner should respond by acknowledging its receipt and providing their name, contact number and postal address. The promoter will then post the prize to the winner. Promotional Period: The promotion will run between 23rd November - 21st December 2018. One winner from Instagram will be announced on 21/12/18 on the relevant platform so the competitions close midday on 21/12/18. Instagram entrants must like the post on our Instagram page, follow us and @theblondebaker_, sign up to our newsletter on our website (link in bio) and tag (nominate) their baking bestie, who deserves to win the prize. Each comment is a separate entry. Unlimited entries. By subscribing to the Cake Angels newsletter, entrants are complying to receive marketing communication from Fiddes Payne brands including Cake Angels. Cake Angels and The Blonde Baker will post and tag the winners name on the same Instagram post on the 21st December. Cake Angels will then contact the winner and ask for contact details in order to send the prize. The prize will be posted as soon as possible. Closes 21st December midday, announced that evening. UK residents only. 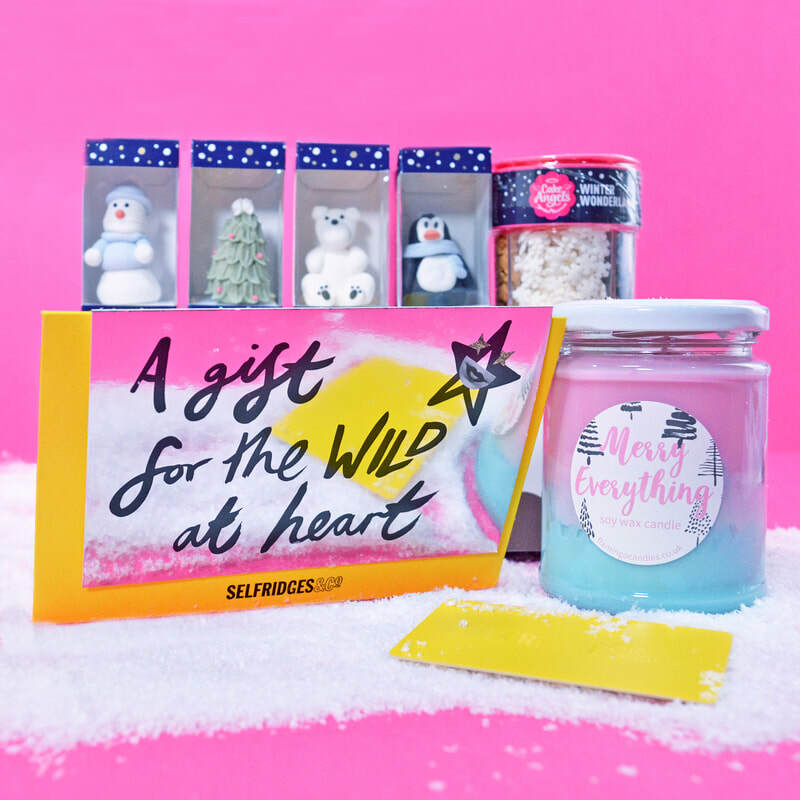 Prizes: There are 4 prizes to be won – 1 prize per week on Instagram. These will be delivered to the winners as soon as possible. Must be a different winner each week. The prize draw winner will be contacted on Instagram on 21/12/18. To claim their prize, the winner is required to respond to the winner notification. The winner should respond by acknowledging its receipt and providing their name, contact number and postal address. The promoter will then post the prize to the winner. This promotion is in no way sponsored, endorsed or administered by, or associated with Facebook. Entrants understand that they are providing their information to the owner of the Facebook page and Cake Angels website and not to Facebook. Promotional Period: The promotion will run between 5th October – 2nd November 2018. One winner from Instagram will be announced on 02/11/18 on the relevant platform so the competitions close midday on 02/11/18. Instagram entrants must like the post on our Instagram page, follow us and @theblondebaker_, sign up to our newsletter on our website and tag all their baking besties. Each comment is a separate entry. Unlimited entries. By subscribing to the Cake Angels newsletter, entrants are complying to receive marketing communication from Fiddes Payne brands including Cake Angels. Cake Angels and The Blonde Baker will post and tag the winners name on the same Instagram post on the 2nd November. Cake Angels will then contact the winner and ask for contact details in order to send the prize. The prize will be posted as soon as possible. Closes 2nd November midday, announced that evening. UK residents only. Prizes: There are 3 prizes to be won – 1 prize each on Facebook, Instagram and Twitter. This will be delivered to the winner as soon as possible. The prize draw winner will be contacted on Instagram on 02/11/18. To claim their prize, the winner is required to respond to the winner notification. The winner should respond by acknowledging its receipt and providing their name, contact number and postal address. The promoter will then post the prize to the winner. Promotional Period: The promotion will run between 21s September – 1st October 2018. One winner from Instagram will be announced on 05/10/18 on Instagram so the competitions close midday on 05/10/18. Instagram entrants must follow us and @_paigeyx, and tag all their friends they would love to share this with. Each comment is a separate entry. Unlimited entries. Cake Angels and _paigeyx will post and tag the winners name on an Instagram post on the 1st October. Cake Angels will then contact the winner and ask for contact details in order to send the prize. The prize will be either be posted or given as an e-voucher as soon as possible. UK residents only. The Alice in Wonderland Afternoon Tea for Two at Taj 51 Hotel is the sole prize. Transport, accommodation or any other add on is not included. The prize draw winner will be contacted on Instagram on 01/10/18. To claim their prize, the winner is required to respond to the winner notification. The winner should respond by acknowledging its receipt and providing their name, contact number and postal address. The promoter will then post the prize to the winner. This promotion is in no way sponsored, endorsed or administered by, or associated with Facebook, Instagram or Twitter. Entrants understand that they are providing their information to the owner of the Instagram page and Cake Angels website and not to Facebook. Promotional Period: The promotion will run between 12th August – 31st October 2018. 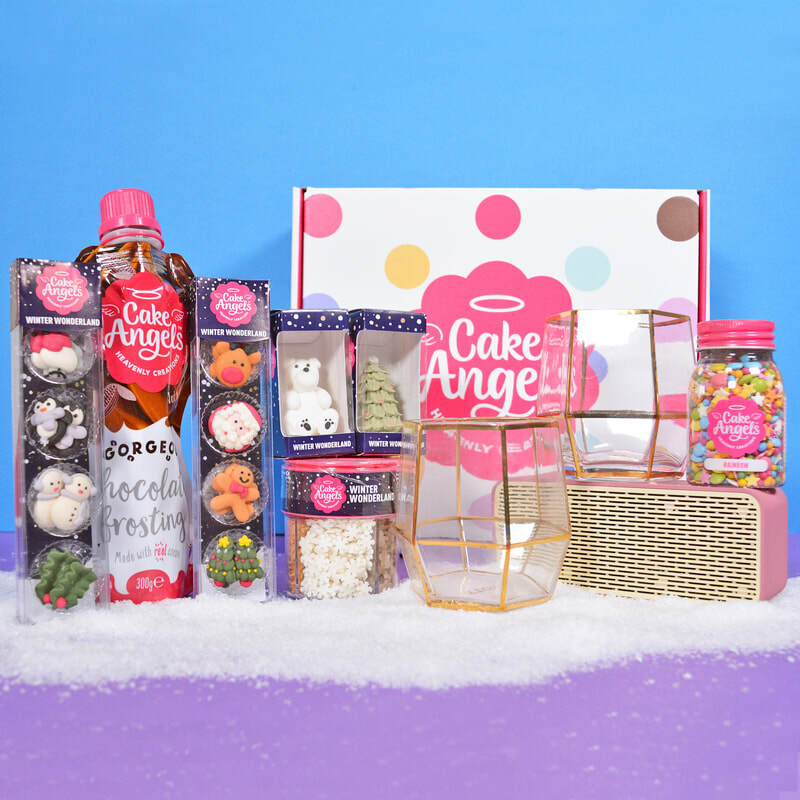 One winner from Twitter each Tuesday (closing at midday) will receive a Cake Angels hamper of our products. It will then restart on the Wednesday with the new blog competition each week. To qualify for the prize, entrants need to retweet, follow @Cake_Angels on Twitter and tag a friend in our post. Entries are unlimited. Cake Angels will announce the winner each Tuesday after midday on their Twitter profile and original post. Entrants will be contacted privately and asked for contact details in order to receive the prize, at the earlier convenience. The competition is open to UK residents only. This competition is only available on Twitter and not other social media sites such as Instagram and Facebook. Prizes: 1 to be won on Instagram. Promotional Period: The promotion will run between 8th September and 11th September 2018. One winner from Instagram on 11/09/2018 will be chosen on the relevant platform so the competition closes at midday. 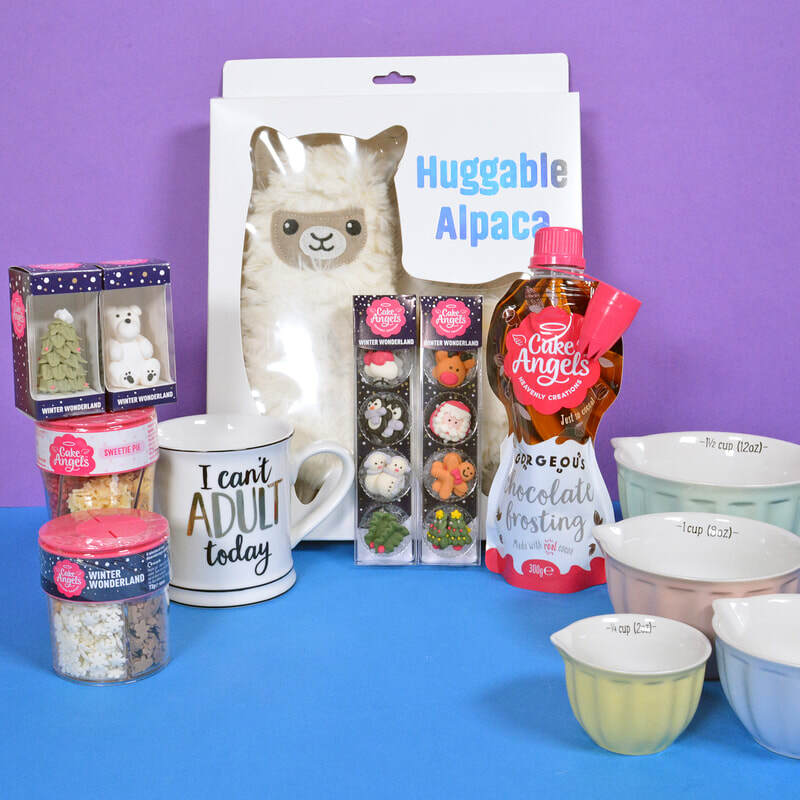 To qualify for the prize, entrants need follow @CakeAngelsUK and @MyKitchenDrawer on Instagram, like the competition post and then tag friends in the comment section (unlimited entries). Cake Angels will announce the winner on the 11 September on their Instagram profile. Entrants will be contacted privately and asked for contact details in order to receive the prize, at the earlier convenience. The competition is open to UK residents only. This competition is only available on Instagram and not other social media sites such as Twitter and Facebook.